Magnificent Caribbean home over looking the iron shore in the prestigious Light House Estates, located in West Bay, Roatan. This spacious 4 bedroom home, was built for entertaining with a large kitchen and dining room as well as an extensive outdoor living space which includes a pool, jacuzzi, BBQ & Bar area. This home was built with Mediterranean influences, high end finishes & has been meticulously maintained. 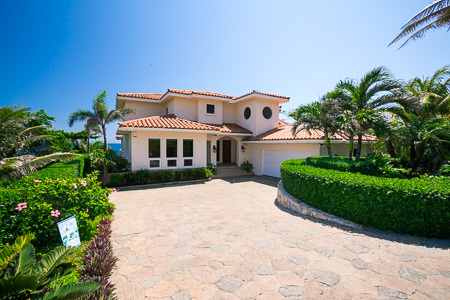 Enjoy the year round trade winds as you gaze at the ocean with view of Mainland Honduras and Cayos Cochinos.